Safely adapting the practice to older bodies, minds and spirits. Almost 20% of America’s nearly 16 million yoga practitioners are over age 55 (Yoga Journal 2008), which presents both an extraordinary opportunity and a serious challenge for yoga instructors. While some older adults are extremely healthy and fit—able to do headstands and other difficult postures—more common are those who fit the profile of an “average” senior in America, 80% of whom have at least one chronic health condition and 50% of whom have at least two (CDC 2003). Many face a broad array of health challenges that may impact participation in a yoga class, ranging from joint replacement and arthritis to taking medications that can affect balance. Health issues often mount with age. For example, the average 75-year-old has three chronic conditions and uses five prescription drugs (Merck Institute & CDC 2004). While there is a potential for harm if yoga instructors do not appropriately adapt the practice to this vulnerable age group, yoga also holds the promise of great benefit for older adults. An emerging body of evidence suggests that yoga may relieve numerous ailments of particular concern to seniors; for example, it may lower blood pressure, ease back pain, enhance sleep and boost mood (Wang 2009). In fact, many activities currently being promoted for older adults—such as balance training and flexibility exercise—are integral parts of most yoga classes. With seniors aged 65 and older representing the fastest-growing sector of the population—expected to more than double to over 80 million by the year 2050 (He et al. 2005)—it is essential for yoga instructors to learn how to adapt the practice safely and effectively to older bodies, minds and spirits. One of the greatest risks of compromise that can occur if yoga classes are not appropriately modified for seniors involves the potential for broken bones among people with osteoporosis, a disorder of impaired bone strength that results in skeletal fragility and increased fracture risk. An estimated 35% of postmenopausal white women have osteoporosis of the hip, spine or distal forearm (HHS 2004), which is particularly alarming since osteoporosis is considered a “silent disease.” This means people with the condition are often undiagnosed and unaware of their risk, so they will not, of course, be able to inform their yoga instructor that they need a modified program. Although many yoga postures are extremely beneficial for people with osteoporosis, two kinds of movement that are common in yoga classes can potentially cause significant harm: spinal flexion (forward bending) and end-range rotation (twisting). For this reason, the National Osteoporosis Foundation (NOF) warns that “many exercises and activities such as yoga, Pilates, tennis and golf may need to be avoided or adjusted because they often involve twisting and bending motions” (NOF 2010). The NOF recommends that people with osteoporosis avoid bending forward from the waist (flexion) and twisting the spine (rotation) to the point of strain. These recommendations can come as a shock to yoga instructors, many of whom consider postures such as uttanasana (standing forward bend) and ardha matsyendrasana (seated spinal twist) essential components of the practice. At first, it may seem that teaching a yoga class without spinal flexion or end-range rotation is impossible. In addition, numerous older adults have been warned by their physicians to avoid yoga because it typically involves too many risky movements. Clearly, there is a need to educate yoga instructors, physicians and older adults themselves that yoga can be both safe and effective for people with osteoporosis—when the practice is appropriately modified. A key element to consider in appropriately modifying postures to reduce fracture risk is the concept of a loaded spine, which refers to the amount of pressure on the spine and represents a combination of the weight of the head and upper body as well as the pull and tug of muscles and ligaments on the vertebral bodies. When the vertebral bodies are under high load, adding flexion or rotation significantly increases the risk of vertebral fracture. Understanding the biomechanics of spinal loading is central to the basic rule for safely adapting postures for people with osteoporosis: “take a load off” the spine by offering forward bends and/or twists in an unloaded or less loaded position. For example, instead of a standing or seated forward bend, both of which involve greater spinal load and higher fracture risk, substitute a safer variation with the spine in an unloaded position, such as a supine knees-to-chest pose. Instead of a seated end-range twist (with the elbow pressed against the outside of the opposite knee), substitute a gentle supine twist, such as lying on the back with knees bent and feet on the floor and rocking the knees from side to side. Another option would be a gentle twist done standing—a position with less load on the spine—being sure to keep the rotation movement within midrange. In addition, the quality of movement is important in reducing fracture risk. Avoid jerky or ballistic motions and encourage participants to move mindfully and slowly, synchronizing their movements with the breath. Props can enhance safety. Since most older adults who begin yoga for the first time in later life find it difficult or impossible to sit comfortably on the floor without rounding the back, avoid floor-sitting and encourage the use of chairs, both for seated postures (e.g., seated mountain pose) and as props to offer support for standing poses. Having a chair back to hold onto during standing postures can make these poses more available, even to seniors who use a cane for walking. In cases where students are too tall to hold onto a chair back without bending over and compromising posture, a wall can provide support and serve as a useful prop. In a standing posture such as warrior 1, where one foot is forward and the other back, pressing the heel of the back foot into a wall can help with stability. Having a chair or wall support available for all students in a class is recommended, as it takes the stigma out of using props and makes it clear they are not only for “unsteady” students. Along with greater risk of osteoporotic fractures, older adults are also at increased risk for numerous other potentially life-threatening ailments, including heart attack and stroke. Some emerging evidence suggests that yoga may help reduce risk of adverse cardiac events, since certain brain–heart signals can be influenced by intangible factors that are typically part of the yoga practice, such as relaxation, mindfulness, prayerfulness, meditation and group support (Krucoff et al. 2010). Yoga instructors should have current CPR/AED certification and also are advised to take a simple medical history form for all students—asking about health risks such as heart disease and surgeries. If necessary, ask permission to partner with a client’s physician to seek guidance in designing a safe and effective yoga practice. While creating a safe environment for older-adult students is essential, it is equally important that this imperative for safety does not translate into setting a fearful or limiting tone. Instead, welcome older-adult students as they are, honoring all abilities and limitations, and create an environment that celebrates what participants can do. You will get a laugh and help prospective students (who are often concerned that they’re not flexible or fit enough to take yoga) if you say that therapeutic yoga classes are open to anyone who can breathe. While it’s fine to offer different levels of practice for older adults of varied abilities—for example, a chair-based practice for those unable to get down to and up from the floor and a more challenging class for those who can—offering a gentle yoga option appropriate for anyone who can breathe is also a useful way to enhance participation. It’s important to recognize that the yogic approach is quite different from the western exercise mentality that says the harder you work, the better the results. In yoga, the way to go deeper is often not by doing more, but by “undoing”—by cultivating the ability to relax, release and let go. Yoga encourages participants to balance effort and surrender; courage and caution. Yoga is noncompetitive, and students should not compare themselves with anyone else, or even with themselves on a different day. Along with the challenges posed by teaching yoga to seniors come extraordinary rewards. Unlike younger practitioners who often focus on the benefits that yoga can have for physical appearance, older adults are typically quite receptive to the profound benefits offered on all levels—physical, emotional, mental and spiritual. It is a privilege to offer elders the experience of ease and union that is at the heart of a yoga practice. Encourage Yogic Balance. The ancient text on yoga, Patanjali’s Yoga Sutras, states Sthira sukham asanam, which means that a yoga pose should be “steady and comfortable” or, by some definitions, “stable and sweet.” If practitioners are pushing themselves to achieve a posture suitable for a magazine cover, that’s gymnastics or calisthenics, but not yoga. Yoga teachers should invite students to challenge themselves but avoid strain. Emphasize Feeling Over Form. Let go of ideas about how a pose should look. Focus instead on how a pose feels. Teach students to discriminate between discomfort, which may be welcomed as an inherent part of the growth process, and pain, which is to be avoided. Source: Krucoff et al. 2010. CDC (Centers for Disease Control and Prevention). 2003. Public health and aging: Trends in aging: United States and worldwide. Morbidity and Mortality Weekly, 52 (6), 101–106. He, W., et al. 2005. U.S. Census Bureau, Current Population Reports. 65+ in the United States: 2005. Washington, DC: U.S. Government Printing Office. HHS (U.S. Department of Health and Human Services). 2004. Bone Health and Osteoporosis: A Report of the Surgeon General. Rockville, MD: Office of the Surgeon General. Krucoff, C., et al. 2010. Teaching yoga to seniors: Essential considerations to enhance safety and reduce risk in a uniquely vulnerable age group. The Journal of Alternative and Complementary Medicine, 16 (8), 1–7. Merck Institute & CDC. 2004. The state of aging and health in America. http://cdc.gov/Aging/pdf/State_of_Aging_and_Health_in_America_2004.pdf; retrieved Jan.10, 2011. Nachemson, A. 1975. Towards a better understanding of low-back pain: A review of the mechanics of the lumbar disc. Rheumatology and Rehabilitation, 14 (3), 129–43. NOF (National Osteoporosis Foundation). 2010. Moving Safely. www.nof.org/aboutosteoporosis/movingsafety/moving; retrieved Dec. 14, 2010. Wang, D. 2009. 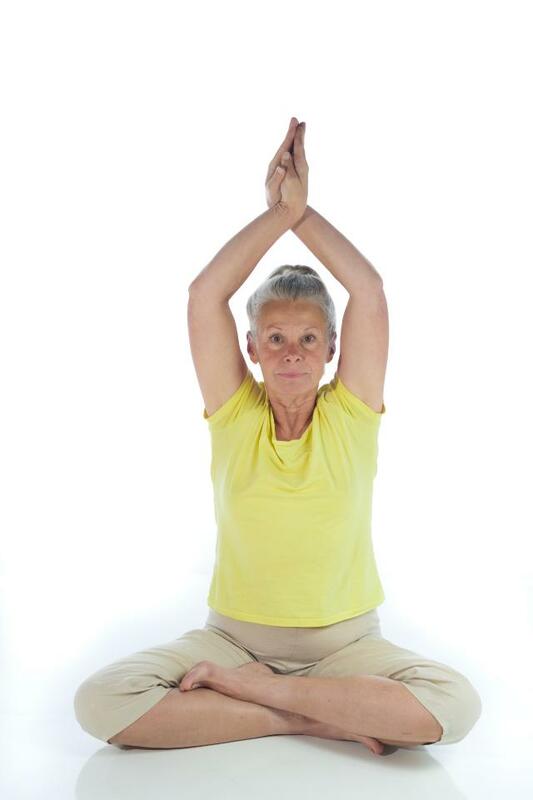 The use of yoga for physical and mental health among older adults: A review of the literature. International Journal of Yoga Therapy, 19, 91–96. Yoga Journal. Yoga in America. 2008. Yoga Journal. www.yogajournal.com/advertise/press_releases/10; retrieved Jan. 10, 2011.